How Are Lava Plains Identified? Another sign indicating the volcanic origin of a plain is the existence of volcanic cones on the plain (Figure 6.17). 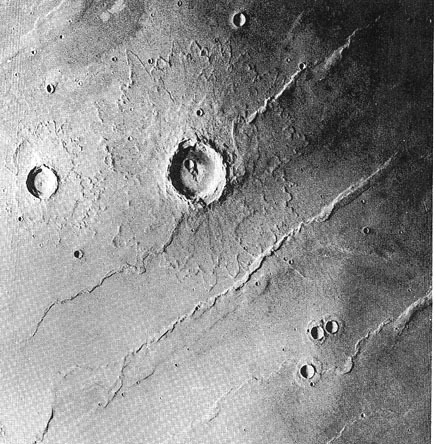 In the middle of this image, there is a cone about 4 km across with an elongated caldera. Small cones with a summit pit can also be found on other lava plains (Figure 6.18) . Most of the cones in this photo are about 500 m (or 1/3 mile) across. 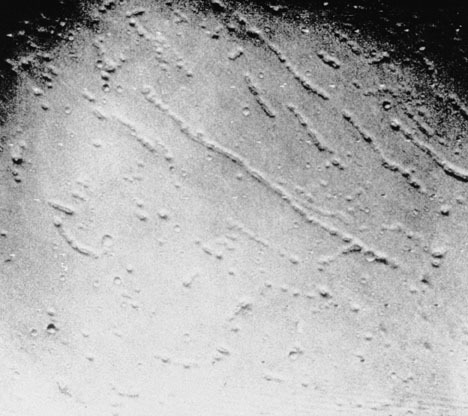 Their linear alignment may be related to the fault system of the area. Exactly how they formed is not known. Viscosity of the lava might also play a role in their formation. Contrasts of surface smoothness can be diagnostic also (Figure 6.19) . 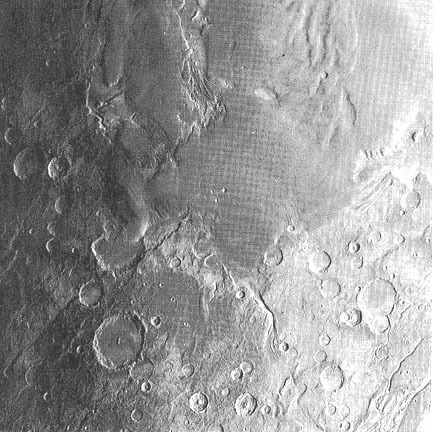 Some experience may be required to delineate the origin of different smooth surfaces. 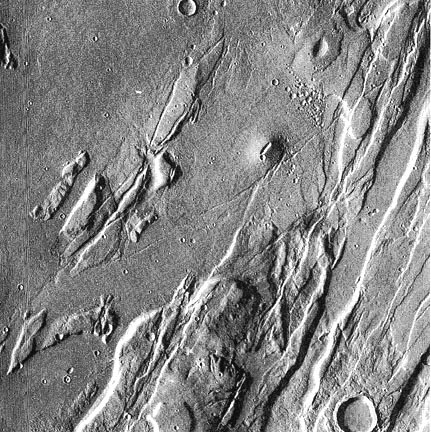 The existence of wrinkle ridges may also be indicative because it takes a harder surface (such as the ones formed by lava flows) to buckle to produce wrinkle ridges (Figure 6.20) .